I hope y'all have been checking out the summer colors blog tour this week. So many talented bloggers have opened up their homes to share their go to summer colors. On Monday I shared my favorite room dressed in many shades of blue this year. Here are just a few of the bloggers' tours and be sure to catch them all in the links at the end of the post for lots more color inspiration! 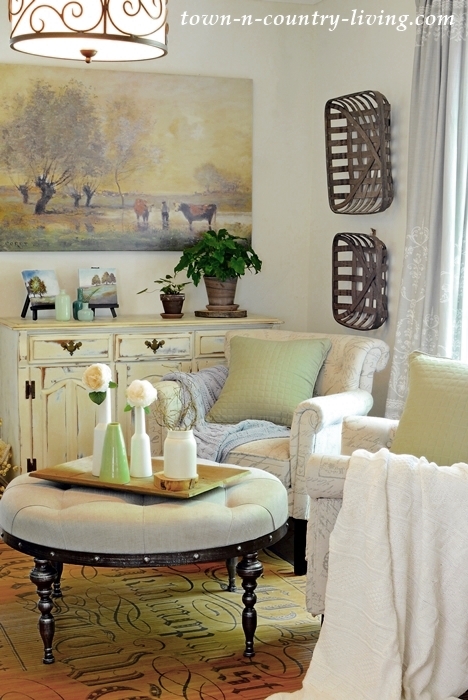 Our host, Jennifer, of Town and Country Living has used many shades of green throughout her home. Janet of Shabbyfufu has filled her Florida home with the pretty colors of the sea. Laura of Duke Manor Farm has added pink and navy on her screened porch with a touch of whimsy with the pink flamingo. 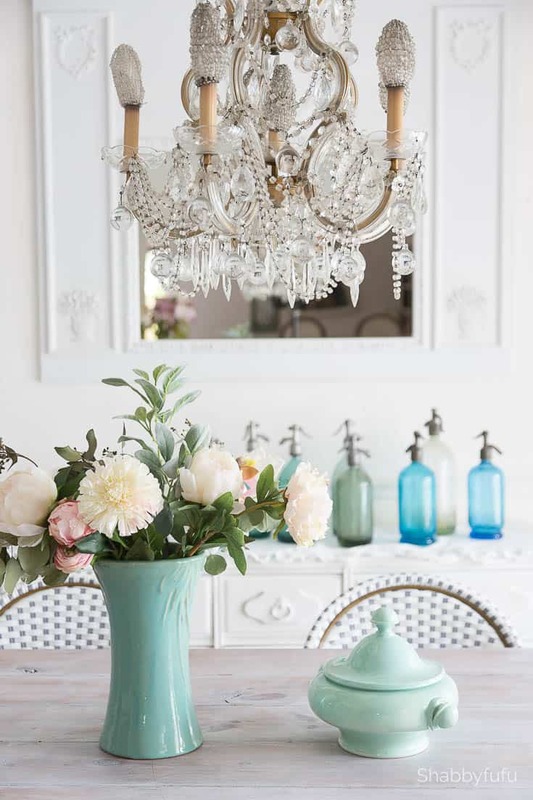 Susan of Saw Nail and Paint's home is summer fresh in crisp white and blue with bits of yellow. I love how Yvonne of Stone Gable chose black and white with pops of yellow for a unique summer style. 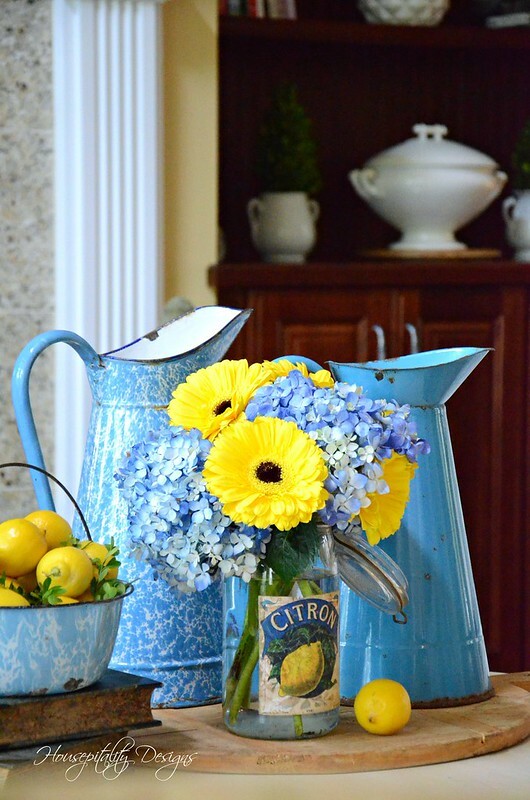 More blue and yellow goodness from my friend Shirley of Housepitality Designs. Love those French enamelware pitchers. I hope you'll check out so much more below. Fun peek into the colorful homes of bloggers. Lots of great ideas here! Wonderful inspiration Kim. Have a great hopefully dry weekend! I have been enjoying the tour, Kim! Have a wonderful Thursday! I am loving this tour and thanks for the feature Kim!! !...Love how you fluffed your "favorite room" in the beautiful blues!!! Hope you are getting some sunshine! 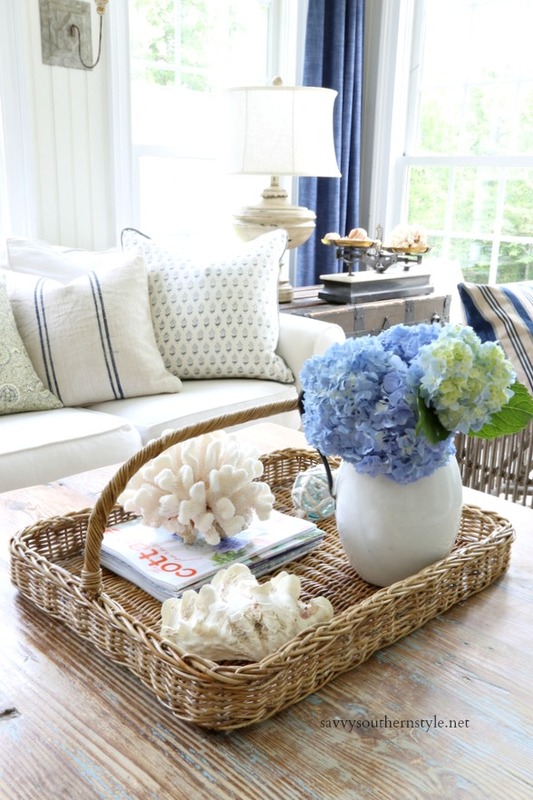 Blue and white is my favorite summertime combo, but I can't seem to pull it off in my house. Perfect in yours! Love seeing all your sweet blogger friends and your colorful vignettes for summer. So pretty and unique and inspirational. Happy Friday Kim. Have a wonderful weekend.